Looking For FREE Real-time Streaming Stock Charts & Real-time Stock Quotes? Our 280 Point Comparison Will Help You Save Time Finding The Best For You. TradingView - Best overall, great social integration to learn from other traders and the best ease of use. Includes trading from charts for Europe & Asia + Crypto & Forex. MSN Money – A good stock screener & real-time charts/quotes, but lacking in every other department. Looking for real-time time streaming stock charts and live quotes? Don’t settle for the first one you find, use the best available stock chart service to save time & money. 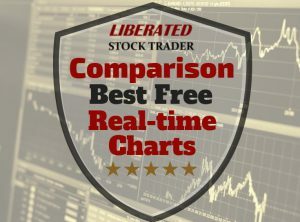 Our review and comparison on the best FREE real-time charts will help you choose the right one for you. There are many websites where you can look at charts for free, but actually, only a small handful of services allow you to look at real-time quotes and charts. Also, there are even fewer available that let you do any real chart analysis by plotting stock chart indicators, drawing trend-lines and making chart annotations. We have reviewed and compared hundreds of different stock charting software packages over our 8 years of operation, so you can rest assured we are recommending something to meet your needs. 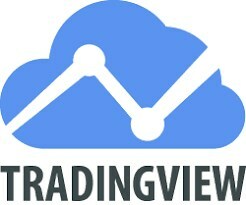 TradingView – Best overall, great social integration to learn from other traders and the best ease of use. Includes trading from charts for Europe & Asia + Crypto & Forex. Recommended for Long-Term U.S.A. & International Investors who value a great price (free), insanely good Fundamental & Technical Analysis and the best ease of use. There is no doubt about it, TradingView has stormed into the Review Winners section in its first try. I spent 2 days playing with this software, and it is seriously making me think about leaving my beloved wife TC2000. It is a close run competition and I am genuinely shocked at how good it is. You can have TradingView for free via the FREE plan, but it is also the winner of our Premium Subscription Software Review & the prices are reasonable and unlock a lot of extra functionality. If you like TradingView you can upgrade to PRO for only $10 per month the benefits are extensive including Priority Customer Support and unlimited everything. How Much Does TradingView Cost? TradingView runs on PC, Mac, Tablets, and Smartphones and requires Zero Installation, it simply works. The Market data is huge, covering nearly all Stock Markets and it includes Stocks, ETF’s Futures, Foreign Exchange & Bonds, all at no extra cost, which means outstanding value for money combined with excellent support options. Also, a huge benefit is that the Data Speed and Coverage are mind-blowing, covering literally every stock market on the planet and not just stocks but ETF’s, Mutual Funds, Futures, FOREX, Bonds & CryptoCurrencies AT NO EXTRA COST. It also has a good fundamental and technical stock, Forex and Cryptocurrency scanner. TradingView has a very slick system and they have put a huge amount of thought into how Fundamentals Integrate into the analytics system. Watchlists have fundamentals broken into Performance, Valuation, Dividends, Margin, Income Statement and Balance Sheet. You can set the watchlist and filters to refresh every minute if you wish. The real-time charts are responsive, for the U.S.A markets they use the BATS (Better Alternative Trading System). But wherever in the world there is an open free data source the engineers at TradingView connect to it. The amount of real-time data on offer is astonishing. TradingView is built with social at the forefront. Fully integrated chat systems, chat forums and an excellent way to share your drawings and analysis with a single click to any group or forum. This makes for an excellent way to generate ideas or learn from other traders. You have to try it and see it in action to understand the power of the implementation. They have also have a Kiplinger newsfeed, Stocktwits, and various FX newsfeeds for Foreign Exchange Traders. With over 160 different indicators, and unique specialty charts such as LineBreak, Kagi, Heikin Ashi, Point & Figure and Renko, you have everything you will need as an advanced trader. So why does it score so highly and rank as a winner in this section? TradingView – Insanely Beautiful Charts, with a massive selection of indicators. This Chart Feature Moon phase and Darvas BoxesDid I mention the charts are fast and beautiful? They also offer a premium service to rival the best software vendors out there. Check it out at www.tradingview.com. The PRO plan is very cost effective starting at $9.95 per month and that gets you real-time charts and Advert free services, and SMS alerts. What Can I Trade Using TradingView? With TradingView you get broker integration with CQG, OANDA, Poloniex and Forex.com Winner of Our Best US Forex Broker Review, you can place trades on charts and it will take care of Profit & Loss reporting and analysis for you. They are adding brokers all the time and I expect soon the major global discount brokers to be available. FreeStockCharts.com is powered by Worden Brothers who are a review winner for our Premium Stock Market Software Review, so they have an excellent track record in delivering quality services. The FREE service has the following has over 80 stock chart indicators (or studies) which you can apply to the chart, all the popular ones are there and many exotic indicators also. You can use different bar types like Japanese Candlesticks and Open, High, Low Close OHLC. What is really nice is that you have the ability to plot trend-lines not only on the price data but on all the indicators, this can be very valuable when you become more experienced in technical analysis. In terms of drawing tools, they also allow you to use Fibonacci Lines, Fibonacci Fans and Fibonacci Arcs. The user interface is super simple and effective, with easy access to watchlists and stock scans, you will need to sign in to access and save your watchlists. One surprising feature is that if you are a TD Ameritrade customer, you can use FreeStockCharts to pull your portfolio and watchlists directly from your account, quite why you would want to do that I don’t know. Overall there is an excellent array of technical indicators and drawing tools, all the big ones are there, from OBV, RSI and Bollinger Bands to Fibonacci Fans and Andrews Pitchfork. With over 80 different indicators you will have plenty to play with. They have also introduced live alerts which you can configure to email or pop up if an indicators or trend line is breached. Very useful indeed. Free StockCharts also has some built-in social and chat features for you to connect and share charts and ideas with friends. But it is no way near as powerful as TradingViews social features. The charts are real-time and the data comes from BATS, which means the price data is accurate, but the volume data only represents BATS trades. Luckily you can select whether you want to see only BATS volumes or get an estimate of the broader market volume. The data is free real-time streaming of Price & Volume and you can go to a granularity of intra-day 1 minute up to 1 year per bar. This software is not available to Mac users because it requires Internet Explorer to work, you will also need to install Microsoft Silverlight, which constantly needs updating. In addition to that, the adverts on display will take up 10% of your screen. But if you do not want to pay and you want real-time charts, then this is still one of the best options available. The Liberated Stock Trader uses Telechart TC2000, to screen, sort, and find winning stocks, FreestockCharts will get you familiar with the interface and workflow until you are ready to upgrade to TC2000. Starting at $9.95 per month you will get a full suite of excellent feature and end of day data. Yahoo has updated its interactive charting experience, it is a clean experience and full screen, so now it is actually very good indeed. With 114 different technical indicators, you are well covered with Yahoo Finance. The interactive charts also now allow you to draw trendlines, linear regressions, and even quadrant lines. A nice new addition is that Yahoo now provides real-time quotes and charts via the BATS system, this is a significant upgrade for 2019. Yahoo Finance is working hard to make their charting system a respectable alternative to other free vendors. They have actually done something innovative also. You can now trade stocks through the Yahoo Finance charts. Yahoo has partnered with Trade.it who essentially provide an interface to transport trade requests to many of the mainstream U.S. brokers. This means, using Yahoo you can trade stocks with your broker. 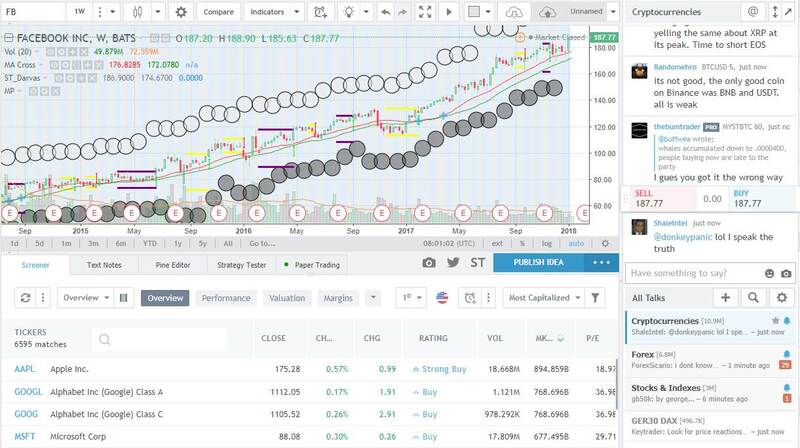 It is a nice feature but if you have a brokerage account you will already have access to real-time data, charts, and quotes and can trade directly with them, so it seems a little redundant. Coming in higher than Google & Microsoft in our review, Yahoo it seems, can do at least some things well. Robin Hood is a commission-free broker with a $0 account minimum. This means you can essentially sign up for Robin Hood and gain access to the free stock charts and real-time quotes and charts for free. The only downside is that you cannot really do any serious stock analysis using Robin Hood. Because it is a mobile-first company the interface is limited to the size of your phone. Mobile first refers to the fact that Robinhood started only as an app on a phone and not a fully fledged trading platform. This means you have to do everything via the phone including opening, funding, and trading. The charts are free and real-time intraday but severely limited in functionality due to the phones form factor and the design choices the company has made. While Robinhood was the pioneer of free stock trades and has a loyal following of supporters and customers, the impetus of the value offering has now dissolved with the move of Firstrade into this market. In terms of free stock trades, both Firstrade and Robinhood are more or less equal. But it is not just about free trades. When it comes to a powerful stock and options trading platform Firstrade is leagues ahead. When we think about research and customer support, Firstrade wins hands down. Firstrade’s move is an industry disruptor and game changer. While the stock screener from MSN Money is in the opinion of the author one of the better free screeners available, the charting software comes in poorly. Lack of trend lines, Moving averages, OBV and index overlay mark it down heavily. However, with a free membership, you can get real-time stock quotes.